Are you guys already thinking about what Christmas presents you’re going to make this year? I am! 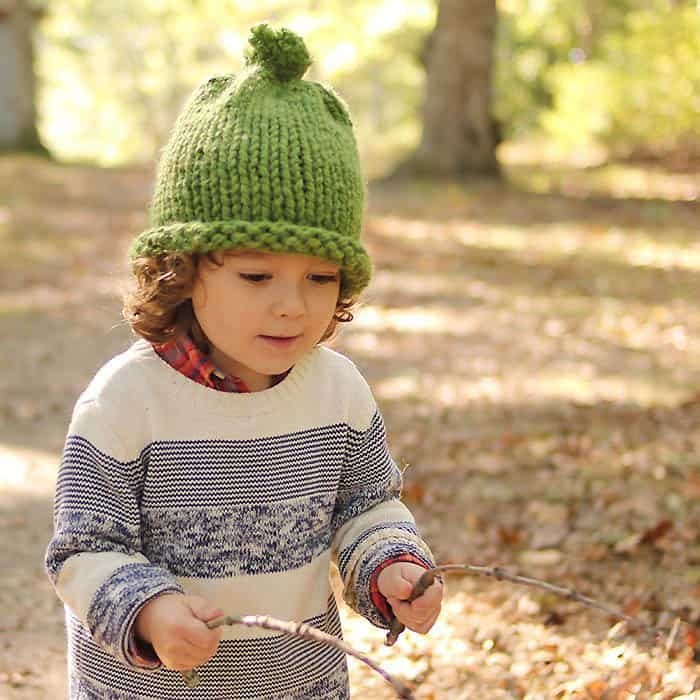 Hats are always a great present because the sizing is more flexible than say, a sweater. 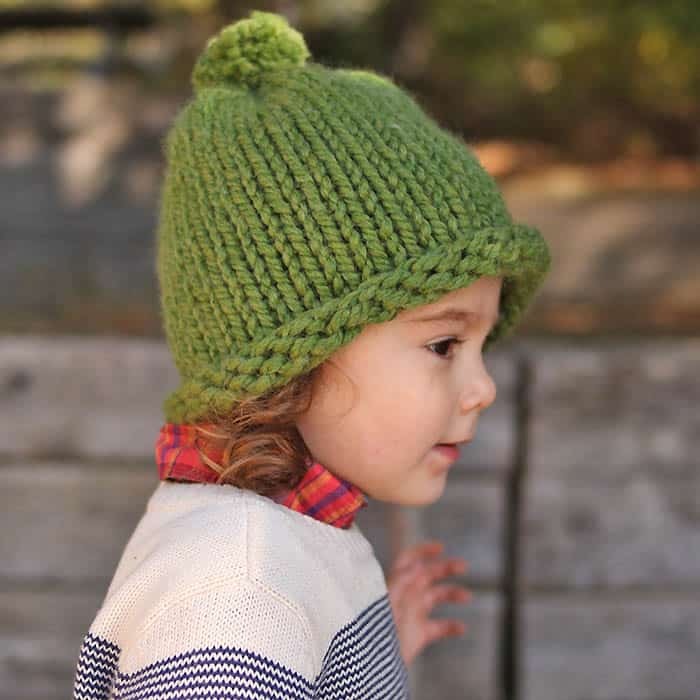 This 1 Hour Baby & Kids Hat Knitting Pattern is perfect for creating a quick gift. It’s warm, cozy and it only takes about an hour to knit thanks to the large needles and super bulky yarn. 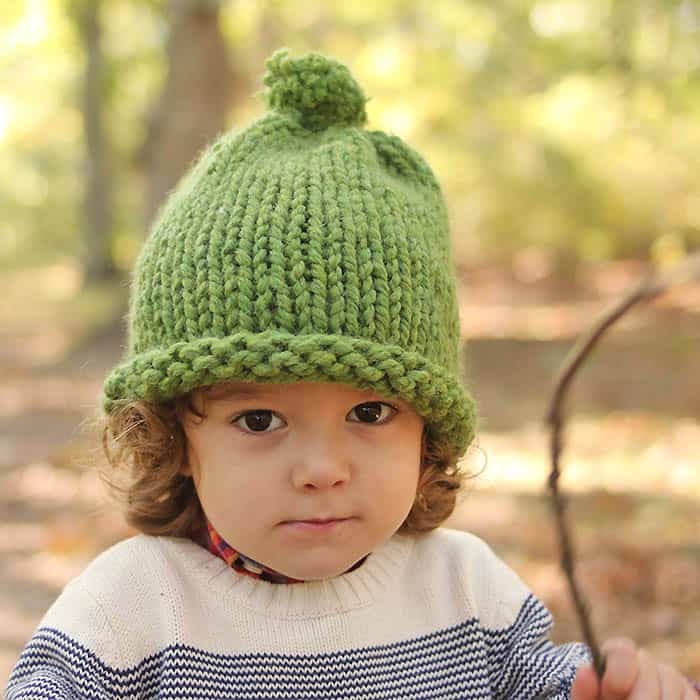 This 1 Hour Baby & Kids Hat knitting pattern is knit on circular needles. It features a rolled brim and a cute pom pom on top. I’ve included sizes 1-7 years. 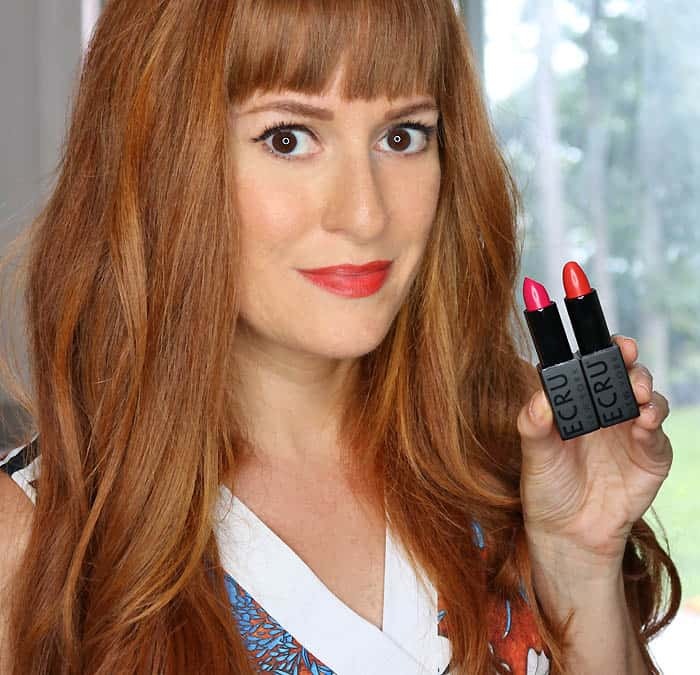 Also, since I know you’re going to ask =D…the women and mens version of this pattern is coming soon! 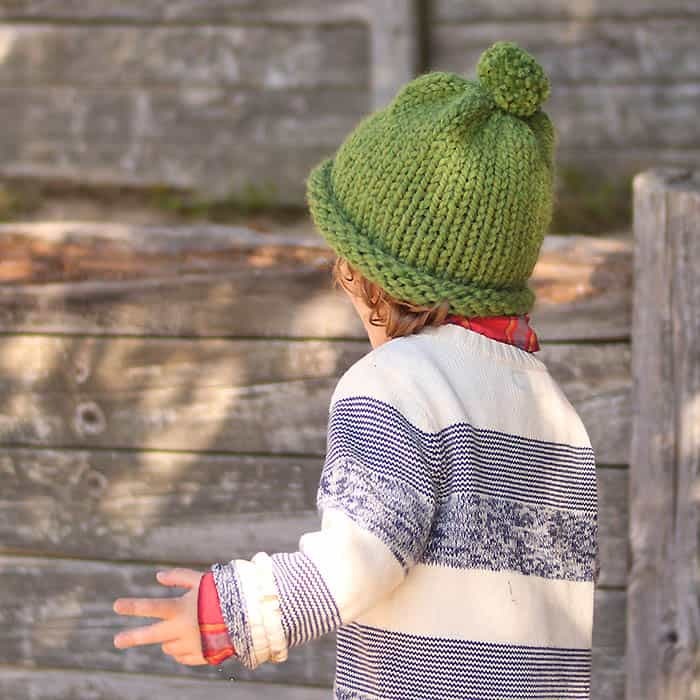 Want more Free Kids Knitting Patterns? Cast on 32 (34, 36, 38) sts. Knit in the round until piece measures 8 (8 1/2, 8 1/2, 9) inches from the cast on edge. Knit 2 together for 2 rounds. Break yarn and pull through remaining stitches. Pull to tighten. Make and knot on pom pom. Thanks for the simple pattern. Sometimes you just need simple with lovely yarns. I do like simple, especially at this time of year. Thanks again Gina.